Looking for a quick website analysis? 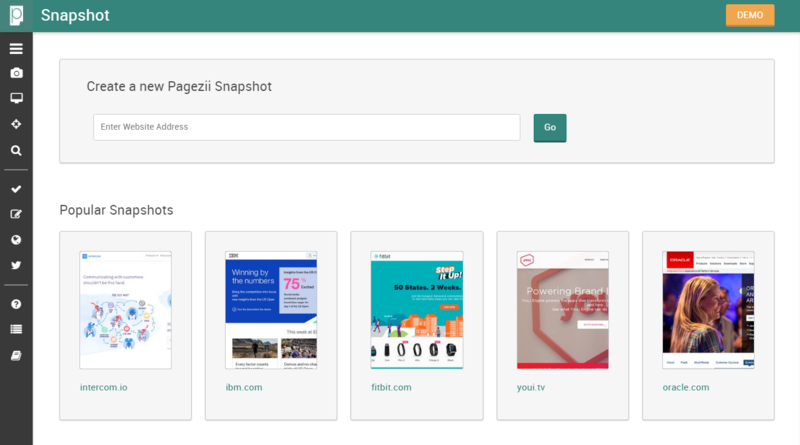 Analyze your website’s digital marketing performance using the Pagezii Snapshot tool. 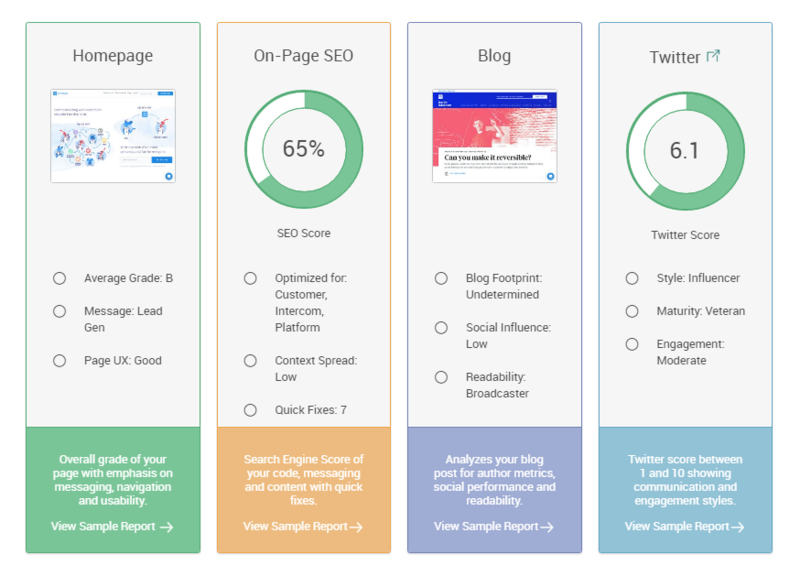 The Pagezii Snapshot tool gives marketers a birds-eye view of their website’s performance from a marketing perspective. It analyzes website messaging, usability, on-page SEO, blog footprint and Twitter profile. The Snapshot tool is easy to use – all you have to do is enter your website URL and hit go. Once you hit go, Pagezii will quickly perform a website wide analysis of the URL you’ve entered. Let’s dive a bit more into each Snapshot category. The section grades homepages on messaging, navigation and usability. The overall grade gives you an idea of how well optimized your homepage is. It also shows your website’s style of messaging and page UX score. This tells you how well-aligned homepage content is with your objectives, and how easy your site is to use. The on-page SEO section determines how SEO friendly your website is. A well-optimized site has an SEO score of +80%. An SEO score of 60 – 79% means sites are optimized but could use some tweaking. A website with an on-page SEO score below 59% needs improvement. The tool also shows which keywords you’re currently optimizing for, focus keyword density and quick fixes. This section helps you understand your blog’s performance. It shows your blog footprint to tell you what growth stage your blog is in. Use this information with social share data to see how popular your blog is. You’ll also see your blog’s readability profile. This sheds light on the communication style of your blog. The Snapshot tool scores your Twitter account between 1 and 10. This shows the social influence of your account. Emerging accounts usually score between 1 – 3. Established Twitter accounts typically receive scores between 3 – 6. Thought leader accounts have a Twitter score of +7. Your account’s communication and engagement style contribute to its overall score. The Snapshot tool provides a simple preview of Pagezii. The tools available inside Pagezii perform more detailed analysis of your digital marketing efforts. Landing Page Report – The Landing Page report breaks down your page elements into detailed sections, grades them and highlights key areas for improvement. SEO Report – SEO reports provide weekly insight into your domain traffic and search optimization. Blog Report – The Blog Pulse report contains an overview of your blog’s performance compared to competitor blogs. Twitter Report – The Twitter report summarizes your Twitter metrics including your engagement and interactions.